Attacks on freedom of expression in Ecuador decreased by 52 percent in 2018 compared to the previous year, according to the annual report from Fundamedios. The organization recorded 144 attacks from January to December 2018, while in 2017 there were 297 cases. "Although it is a significant decrease, the number of attacks against media, journalists and activists is still important enough to not lower our guard," the organization said in its report titled "The year of the sea change for freedom of expression?". For Fundamedios, since Lenín Moreno became president of the country, decisions have been taken to "strengthen a transition from an authoritarian model to an open democracy.” However, there are still "unusual events" in the country that affect freedom of expression. These events range from the prosecution of critics of public officials, internet censorship, attacks from alleged supporters of former President Rafael Correa toward journalists, among others. The most serious case against the press, Fundamedios highlighted, was undoubtedly the abduction and subsequent murder of the journalistic team of the newspaper El Comercio on the border between Ecuador and Colombia, allegedly by a group that broke off from the FARC. The State continues to be the main aggressor of the press during 2018 through administrative, legislative and judicial measures, according to the monitoring. The report clarifies that these are local authorities from provinces and public officials, and not the central government as it used to be. The organization highlighted the increase of attacks by unknown actors. The organization highlighted a difference in terms of the types of aggression. During 2018, attacks on the physical integrity of journalists were the biggest types of aggression with 40 reported cases, followed by attacks on digital rights that include internet censorship, page closures, hacking, harassment through social networks, cyber threats, with 33 reported cases. According to Fundamedios, in 2017, the most recurrent type of attacks were insults or disqualifications by authorities and public figures, in addition to the hacking of the systems of media and social organizations. Although April was the month in which fewer aggressions were recorded, it was precisely this month in which the country's most serious attack on freedom of expression was confirmed. On the 13th, President Moreno confirmed the murder of El Comercio's journalistic team, comprised of Paúl Rivas, Javier Ortega and Efraín Segarra. "This marks a key event in the history of Ecuadorian journalism and the beginning of a path aimed at the responsibility of the State in the development of [a] public policy that guarantees the security of those who exercise the journalistic profession," the report states. Concerning this incident, both Fundamedios and the Foundation for Press Freedom (FLIP) of Colombia have expressed their rejection of each country’s authorities’ management in finding those responsible and clarifying the truth. "Eight months after the event occurred, there are no clear answers," the Fundamedios report stated. On Dec. 21, the president of Colombia, Iván Duque, said that Walter Patricio Arizala Vernaza, alias 'Guacho,’ leader of the dissident group that was allegedly responsible for the abduction and murder, was killed in a military operation. In December 2018, the Special Follow-Up Team (ESE, for its initials in Spanish) of the Inter-American Commission on Human Rights (IACHR) received approval from Ecuador to continue with the investigation of the crimes until March 2019, according to the report. "The information and the versions presented by the different state authorities are contradictory. For this reason, the relatives of the victims have not ceased in their demand for truth, justice and reparation," the report states. 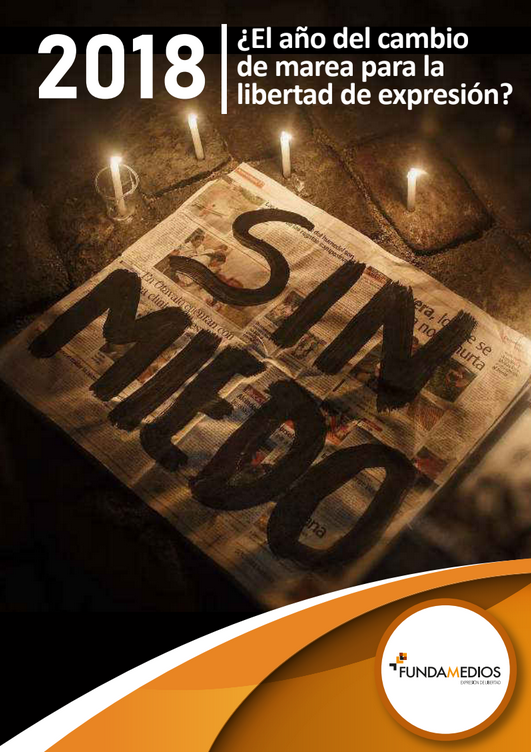 Although there was a general improvement, Fundamedios highlighted a decline in access to public information. According to the organization, there is a "lack of transparency in relation to requests for information made to State institutions", as well as impediments to coverage of some cases. For Fundamedios, the fact that the government has "recognized patterns of aggression driven by the regime of Rafael Correa against freedom of expression" led to actions that changed the "hostile and polarized environment" that the country experienced from 2007 to the first half of 2017. ​One of those actions was the proposal to reform the Organic Law of Communication (LOC), which became, according to Fundamedios, "a legal instrument of a punitive nature that governs journalistic activity." In December 2018, the National Assembly approved reforms to the LOC that include the elimination of the Superintendency of Information and Communication (Supercom), the country's media sanctioning body. According to the annual report, between October 2013 and March 2018, Supercom carried out 706 sanctioning processes "for alleged violations of ethical rules and of regulation of content against journalists, media and even cartoonists." In this same line of change of attitude, Fundamedios highlighted the public apologies offered by the Ombudsman's Office in September. According to the report, the entity apologized to journalists and members of other organizations "for the violation of their rights in cases of harassment, stigmatization and abuse of power." You can view the complete report here.